I didn’t have basically any knowledge about this game A Way Out other than it is to be played with other player (a friend since there is no matchmaking and in the end of the game I understood why). It can’t be played alone so if you are ‘forever alone’ then this game isn’t for you, my dearie. The basic info what I had about the game itself was that it tells story of two men (friends maybe) and they want to break out from a prison. I honestly thought this game is maybe 2—3 hours long and it’s all about just getting out of the prison. But I couldn’t been more wrong. This piece took me by surprise of how long the story goes even out of the prison and how it deepens and got very emotional until the very bitter end. 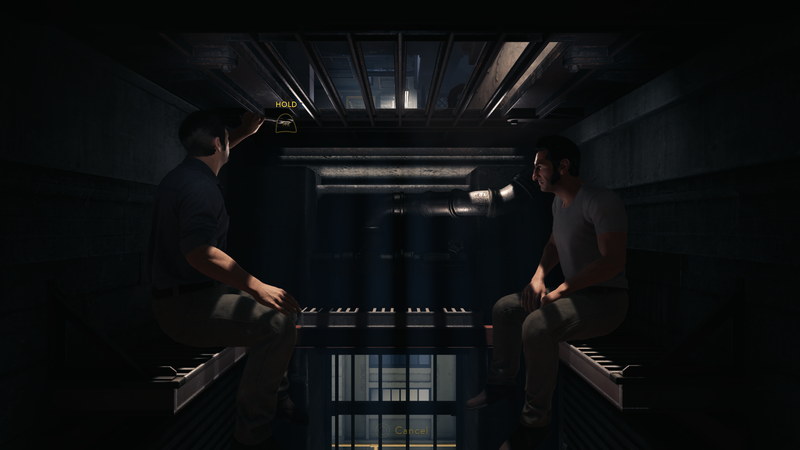 A Way Out is super simple but also sometimes bit difficult only due to the fact that occasionally you need to keep hitting square button like your life depends on it (and it actually do, in the game I mean). There is no inventory and you can only use an item what you have in your hands at time but A Way Out isn’t difficult in that department. You don’t need to carry one item long, usually it’ll be used right away. What you basically can do is walk around and pick up things that are meant to or interact with other objects or persons. And even when you talk to someone there is only two options at time to choose what you wanna say to them. Usually they are negative and positive. And of course this game is packed with fighting scenes of QTEs. 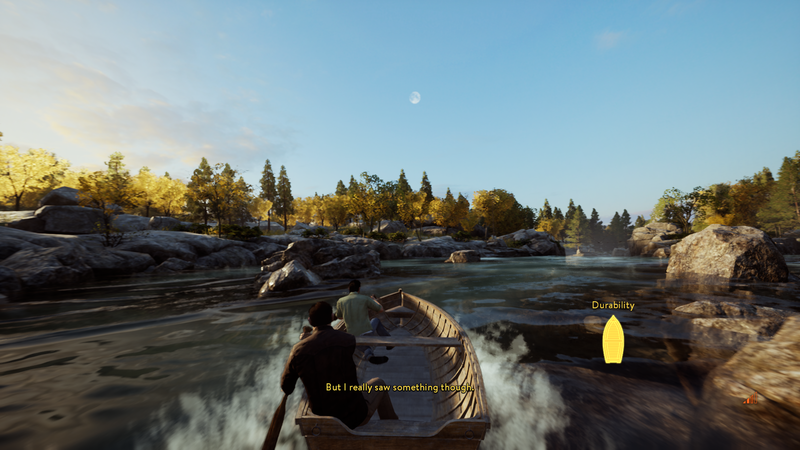 I think video games should be 50% about the story. If the story is boring or not—even—there no one wants to play that kind of game. It needs to be interesting and fresh and A Way Out is all of that. What I noticed it was the combination of story, playing with friend, communicating (talking via headphones), cooperating, helping each other out (and also there was tons of things you could do together like playing different kinds of games, playing basketball or other little competitions between those two) that ties everything together and makes it, maybe, difficult to do decisions in the end. I try not to spoil anyone but I think this game is super fun and I’m not even sure is there multiple endings and if so, how many? I played this only once and surely I want to try this sometime again. It’s just the fact that second time around I (we) need to make choices differently by purpose and trying to make the end different and that doesn’t feel very fun playing or even genuine. It feels fake and the fun is gone. That is the issue with multiple ending games, to my opinion, but also good thing since then there is more emotions and your own skills and decisions and luck mixed together that shows your fate in the end. 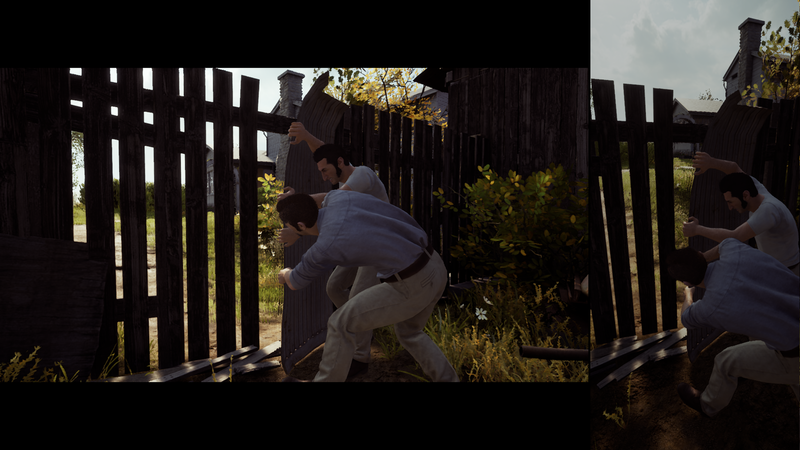 There are issues with the audio sometimes, but that is understandable since A Way Out is very ambitious game, the kind I haven’t seen yet. Most of the time the screen is split screen. You can see other player all the time and what he is doing but sometimes it is only you but when split screen is on the sounds from both players mix together and it was kinda awkward in the beginning but I got used to it fairly quickly and it didn’t bothered me that much anymore. The issues was sounds mixing together the way that I weren’t sure where it’s even coming from. Couple times even there was a bug that made the character repeat same line over and over again. As of voice acting and sound effects it’s pretty solid and I can’t find much other to tell about. I wrote to my notes ‘basic PS4 graphics’ and I need to cross out that. It was better than normal PS4 game, at least it was PS4 Pro what we both used. There was some harshness from time to time but overall it is 8/10. Like every game there was some bugs here and there but nothing that made you take screenshot of it. Sometimes it was very smooth how the characters looked close up or the environment looked but as any game the most unused parts of the game world was harsh looking. I know lot of technology but there are things that I have no clue about such as how the PS4 Pro ‘4k’ (or checkerboarding) works and what games are 4k and what are not. I have Pro and 4k TV and it always shows me that Pro is used on 4k resolution no matter what game I play. So I don’t know this game’s stats and googling didn’t help that much either. But what I believe this game is 4k 30fps when using Pro. This happens to me every time when I write these things. I tell most of the gameplay already above. But if I tell it again and try to break it down more specifically. 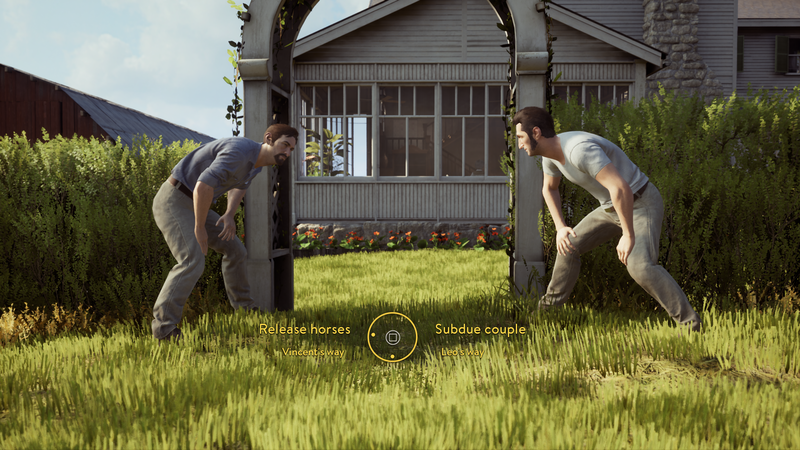 So, the game is usually played with split screen view where you can see your friend all the time and sometimes there is parts where you have to do things on your own and your friend has to sit tight and watch. You can’t do things that freely like punching people since they happen in prompt situations. At one point even guns are involved and they are being used freely. Then come options such as choosing ‘do you wanna go your way or other player’s way’ which is usually calm or guns blazing in. Since there is only two players the choice has to be made unanimously so as we played we made choices evenly (I think). 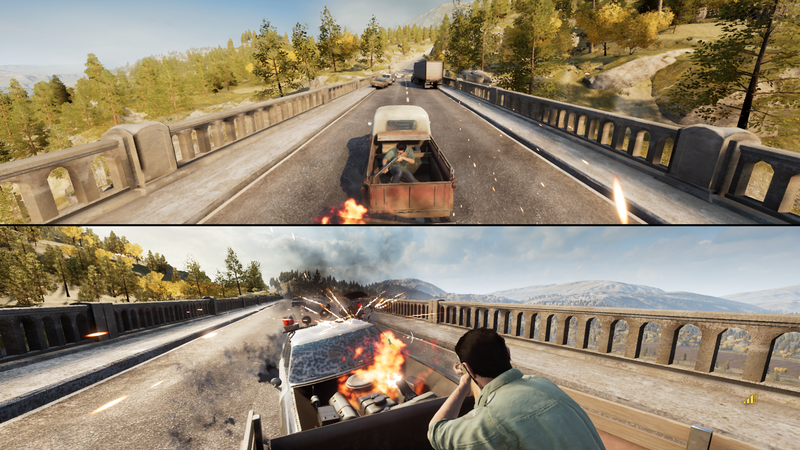 We died many times, but it was more of to trying to figure out what to do such as ‘can I run through the gunfire and not die’ —type of situations. 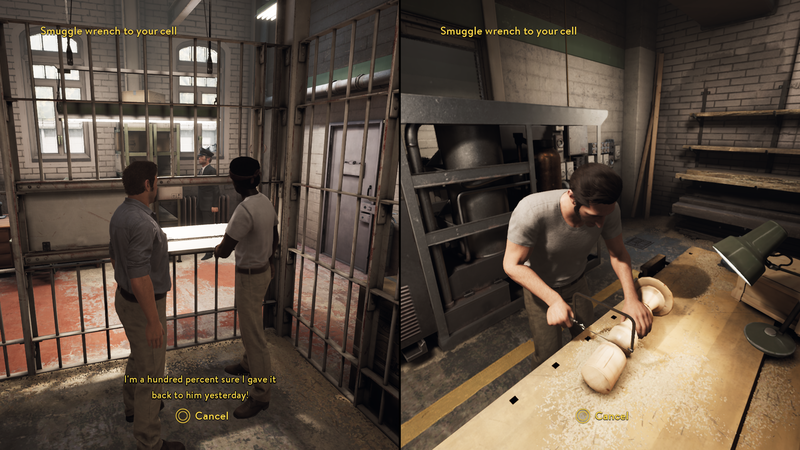 I still wouldn’t say A Way Out is difficult at any department and you have other player helping you out most of the time so there is not much to be difficult with. 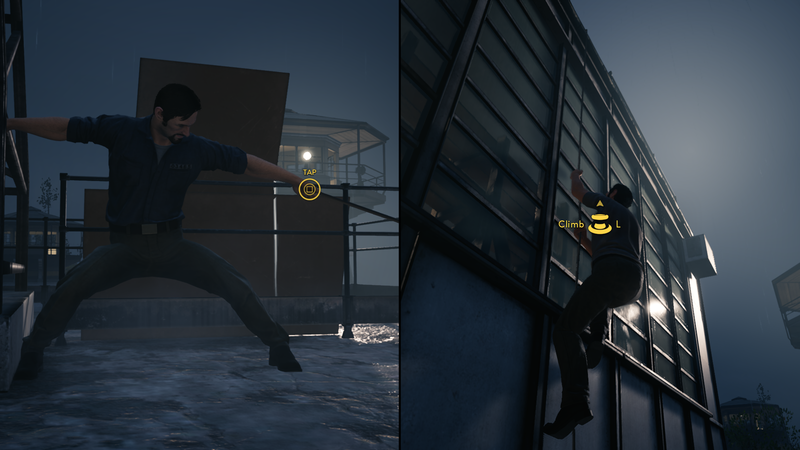 Maybe the aiming when firing a gun is little bit tricky since it doesn’t happen early enough in the game so I didn’t get used to it quickly enough. There isn’t any other difficulty level to choose so the game is what it is. The only difficulty would be the choices you make. All of them, from beginning to the very end. OK I gave up and googled the info about the ending and there is different ending(s). All is up to your choices and your feelings even and playing skills. Towards the end it was hard to make the choices and sometimes there wasn’t even enough time to think about them through and it all ended so quickly and it made me think ‘what I would’ve done differently if I could?’ But it’s too late now so thinking in real life situations when someone has a split second to think of ‘what to do’ may cause someones’ death in a heartbeat. Uhh, how anxious I suddenly get. 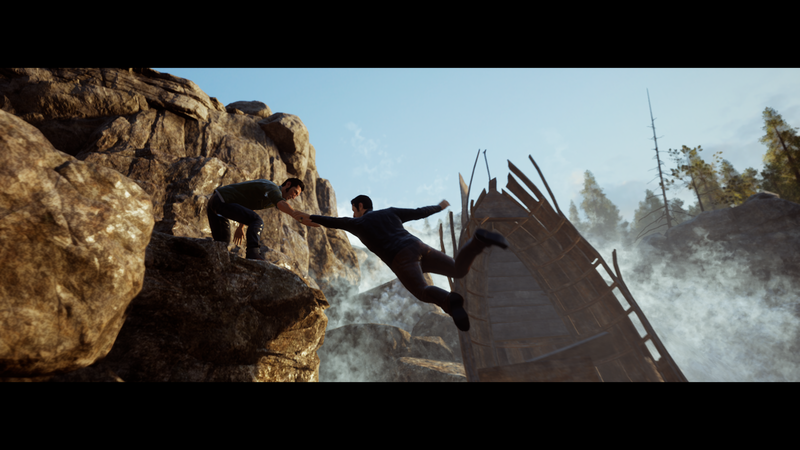 All in all A Way Out is very movie—esque with all those slow motion scenes and story telling and I can see it had lots of influence from games like Uncharted 4: The Thief’s End and Resident Evil 5 (at some points). I’m not saying it’s a copycat game but the truth is that every idea has already been used in this world so new ideas are harder to come by so we should use those, already used ones, creatively onwards. If you have spare time (approx. 4-7 hours) and at least PS4 console and you are not ‘forever alone’ then you should try this. It might be kinda salty price to pay just for one playthrough 29,95€ and this also need Playstation Plus subscription (all PS4 online multiplayer games needs that) to work, it might be too much. And since there need to be only one game bought to play with friend it actually is good decision from the developer since if both need to have 2 x PS Plus and 2 x 29,95€ it would be a way too much. So they made excellent decision to execute this. Only minus is that the one who bought the game can have trophies. 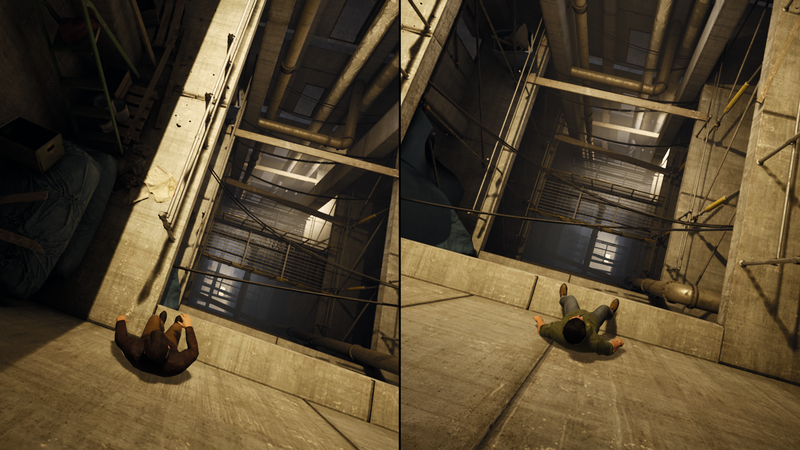 A Way Out should be actually ‘A Way In‘ since it made me think all kinds of things and go inwards. I usually don’t watch full trailers of games or movies since sometimes they spoil too much and I think that was what I did with this and that is the reason why I didn’t knew much of this piece in the beginning. It took me kinda surprise and I think anyone should do that. Too much information might be bad, actually, and like movie trailers sometimes it feels like you saw the whole movie in that short clip. What added more excitement to this game was when near the end my battery died on my headphones and I couldn’t communicate with other player anymore so it was kinda every man for himself —situation. Talking about drama. This piece took me by surprise of how long the story goes even out of the prison and how it deepens and got very emotional until the very bitter end. I missed out on picking up this game when it first released (was swamped with college midterms/assignments/exams), so at this point, I figured I may as well hold out for a sale before picking it up. I had been waiting for it to come out for a while now since I heard about the development of it due to playing Brothers: A Tale of Two Sons by the same company and therefore had high expectations. It’s good to know that the game for you was a bit longer! I had initially expected the same 2-3 hour experience. I totally didn’t expect it to be longer and all the variable areas.